No 498a conviction based on hearsay evidence as the exceptions to Sec 32 Indian Evidence act are NOT acceptable for trying cases / crimes under ipc 498a. Also prosecution has failed to prove case beyond reasonable doubt. Hence Husband acquitted even after wife committed suicide. ///It follows, therefore, that there was no legal evidence tendered in the case which could be made the basis for returning a finding with respect to the alleged cruelty of the accused with the deceased. In the absence of any legal evidence produced in the case, we are of the opinion that the prosecution has failed to prove, beyond doubt, that the appellant had committed the offence under Section 498A of the Indian Penal Code and find that it is a fit case where he is entitled to be given the benefit of doubt. In view of our finding that there is no legal evidence to connect the accused with the commission of the offence under Section 498A of the Indian Penal Code, this appeal is allowed by setting aside the impugned judgment of the High Court as also of trial court. Giving him the benefit of doubt, the appellant is acquitted of the charge under Section 498A of the Indian Penal Code. His bail bond stands discharged. The appellant was charged for the commission of offences punishable under Sections 304B and 498A of the Indian Penal Code for allegedly subjecting his wife to cruelty and causing the dowry death. After trial, the appellant was acquitted of the charge framed against him under Section 304B but convicted under Section 498A of the Indian Penal Code and sentenced to three years rigorous imprisonment. The appeal filed by the appellant against his conviction and sentence under Section 498A IPC was dismissed vide the judgment impugned in this appeal. The facts of the case are that the appellant’s marriage with Rashmirekha was solemnised on 4.3.1984. A male child was born to the parties on 9.5.1985. Rashmirekha, the wife of the appellant died by hanging herself in the bathroom regarding which the appellant is stated to have lodged a written report to the Police Station Sahid Nagar and he informed the family members of the deceased. PW1, the father of the deceased thereafter lodged an FIR alleging therein that his daughter was murdered by the appellant and his family members. During the investigation it transpired that the deceased had committed suicide on account of dowry demands, allegedly made by the appellant and his family members. It was further revealed that the deceased had been subjected to ill-treatment, harassment and cruelty. The appellant was alleged to be having illicit connection with his brother’s wife. The accused totally denied the occurrence. In his statement, recorded under Section 313 of the Code of Criminal Procedure, he admitted that the deceased was his wife but asserted that he was having very cordial relations with her. There was no demand of dowry either by him or his brother or his family members. According to him the deceased had committed suicide which is not related to either cruelty or harassment or demand of dowry. The aforesaid findings were confirmed by the High Court vide the order impugned. It is conceded before us that no appeal or revision has been filed against the judgment of the trial court by which the appellant was acquitted of the charge framed against him under Section 304B of the Indian Penal Code. The concept of cruelty and its effect varies from individual to individual also depending upon the social and economic status to which such person belongs. “Cruelty” for the purposes of constituting the offence under the aforesaid section need not be physical. Even mental torture or abnormal behaviour may amount to cruelty and harassment in a given case. Learned counsel for the appellant then submitted that the findings returned by the trial court regarding the cruelty within the meaning of Section 498A of the Indian Penal Code are not based on any legal evidence. To hold that the accused had once given pushes to the deceased which drove her to commit suicide are based upon the alleged testimony of PW4 who is the mother of the deceased. We have minutely read the statement of the aforesaid witness and do not find any mention of her having seen the accused pushing the deceased which, in turn, could be held to be “cruelty” driving her to commit suicide. “On 3.6.1987 for the last time I had been to the house of the deceased i.e. to her separate residence. Sworna, Snigdha, Sima apa, Baby Apa accompanied me to her house on that day. At that time the deceased complained before us as usual and added to that she said that she is being assaulted by the accused now-a-days. She further complained before us that the accused is taking away the child from and her, and that her mother in-law has come and some conspiracy is going against her (the deceased). She further told that “MATE AU BANCHEI DEBENAHIN”. Such a statement appears to have been taken on record with the aid of Section 32 of the Indian Evidence Act at a time when the appellant was being tried for the offence under Section 304B and such statement was admissible under Clause (1) of the said section as it related to the cause of death of the deceased and the circumstances of the transaction which resulted in her death. Such a statement is not admissible in evidence for the offence punishable under Section 498A of the Indian Penal Code and has to be termed as being only a hearsay evidence. Section 32 is an exception to the Hearsay Rule and deals with the statements or declarations by a person, since dead, relating to the cause of his or her death or the circumstances leading to such death. If a statement which otherwise is covered by the Hearsay Rule does not fall within the exceptions of Section 32 of the Evidence Act, the same cannot be relied upon for finding the guilt of the accused. Another finding for recording the guilt of the accused is that once the deceased was not allowed to sit on the scooter by the accused and that he was frequently staying absent from his house. Learned counsel, appearing for the respondent, fairly conceded that no witness has stated to that effect and we feel that such a finding is not based upon any legal evidence. (EMPHASIS SUPPLIED) In view of the aforesaid letter it could not be held that the deceased had conceived an apprehension about the relationship of the appellant with his sister-in-law. It follows, therefore, that there was no legal evidence tendered in the case which could be made the basis for returning a finding with respect to the alleged cruelty of the accused with the deceased. In the absence of any legal evidence produced in the case, we are of the opinion that the prosecution has failed to prove, beyond doubt, that the appellant had committed the offence under Section 498A of the Indian Penal Code and find that it is a fit case where he is entitled to be given the benefit of doubt. This entry was posted in 498a, accquittal in 498a, divorce and tagged #DowryDeath, #EvidenceAct, #hearsay, #illicit, #Indian_Evidence_Act, #IPC_section498a, #s.498a indian penal code, #sec.498a, #Sec32_EvidenceAct, #sec498aIPC, #section-498a, #section304b, #section498a, #section498a #Indian_Penal_Code, 304B, 498a, 498a ipc, Dowry, indian penal code 498a, ipc498a, s.498a ipc on March 16, 2019 by vinayak. Heard Shri P. H. Pathak, learned counsel appearing for the petitioner. Petitioner, who happened to be an applicant in original application being Original Application No.490 of 2012 with M.A. No.79 of 2013 has taken out this petition under Articles 226 and 227 of the Constitution of India assailing the judgment and order of the Central Administrative Tribunal, Ahmedabad Bench dated 31.08.2016, whereby the tribunal has rejected the prayer of backwages for the period from dismissal to the acquittal and reinstatement. 2. The facts in brief, could be gathered from the decision and the memo of petition, deserves to be set-out as under, for appreciating the controversy. 2.1 The petitioner was working as T. S. Clerk with Gujarat Telecom Circle of the Indian Post and Telegraphs Department from 01.01.1983. Later on, he was promoted as Sr. TOA (G) and was working with Telecom District, Rajkot. The Bharat Sanchar Nigam Limited (BSNL) came into existence w.e.f. 01.10.2000 and under an order dated 18.01.2002, the petitioner was absorbed in BSNL w.e.f. 01.10.2000. The petitioner had to face criminal prosecution u/s. 498A and 304B read with Section 114 of the Indian Penal Code in Sessions Case No.138 of 1991. The Sessions Court has acquitted the petitioner vide order dated 22.01.1997. Such acquittal order dated 22.01.1997 was challenged by the State Government, in Criminal Appeal No.335 of 1997. The High Court of Gujarat on 06.05.2004 allowed the said Criminal Appeal No.335 of 1997 and order of acquittal dated 22.01.1997 in Sessions Case No.138 of 1991 was set aside and acquittal was converted into conviction, punishable under Sections 498A and 306 of the Indian Penal Code and sentence of 5 years rigorous imprisonment and fine of Rs.3000/-, in default whereof further rigorous imprisonment of 6 months was awarded. Being aggrieved, the order of the High Court rendered on 06.05.2004 in Criminal Appeal No.335 of 1997 was assailed in Special Leave to Appeal (Criminal) No.3154 of 2004. Main contention of the petitioner is that on account of his conviction in the Criminal Appeal, he came to be dismissed from C/SCA/2236/2019 ORDER services vide order dated 26.09.2006 i.e. after some time of conviction by the High Court and the petitioner was through out enjoying the bail and he was not in custody. The appeal in the Hon’ble Supreme Court being Criminal Appeal No.810 of 2004 was allowed and trial Court’s order was restored. The petitioner has filed Original Application for seeking appropriate relief and reinstatement. The department had reinstated the petitioner on 12.08.2011. The tribunal has rendered the decision on 31.08.2016, whereby, the petitioner was not granted the backwages from the date of dismissal, till the date of reinstatement based upon the fact that the Hon’ble Supreme Court in its decision cited in the judgment, which are reproduced as under, held that the respondent cannot be saddled with liability to make payment for the period, when the petitioner did not discharge his duties. 4. Learned counsel for the petitioner has contended that the factum of restoration of service of the petitioner ought to have been appreciated by the tribunal. He has further contended that petitioner was not permitted to serve the department. Therefore, when he was available to discharge his duty, the dismissal order itself was not justified, as it was passed after one and half years of the order of conviction. The Hon’ble Supreme Court has also not said that the conviction and dismissal based thereupon would not entail the order of back-wages even after reinstatement in all cases. The facts and circumstances of the case have to be examined and appropriate relief is required to be granted. 4.1 The Hon’ble Supreme Court’s judgments relied upon by the tribunal and extract of which were cited herein above, indicates the fatum of conviction and when it was not stayed by any competent Court would entail the originality and when offence under Sections 498A and 306 of the Indian Penal Code, the Hon’ble Supreme Court has held that the employer cannot be saddled with the liability of paying the wages to the employee when he was dismissed on account of conviction irrespective of reinstatement on account of acquittal. We hastened to add here that the situation would have been different if the conviction order itself was stayed by the Court. Mere enlargement of the employee on bail itself, would not amount to stay the conviction and, therefore, stigma attached to the employee on account of conviction remains and it would effect only when the competent Court converted the conviction into acquittal. Therefore, in our view, the tribunal’s reasonings cannot be said to be suffers from any infirmity, so as to call for any interference. As a result thereof, the petition fails and hereby dismissed. This entry was posted in 304B, 498a, Gujarat HC, Mere Bail not enough for backwages !! and tagged 304B, 498a, acquittan in 498a, acquitted in 498a by SC, acquitted in dowry death, Gujarat HC, Mere bail in 498a 304 b case NOT sufficient for backwages EVEN if employee acquitted by higher court on February 9, 2019 by vinayak. ////15. It may be seen from the aforesaid judgments that the Supreme Court has expressed its concerned with regard to false implication of husband and his relatives in the cases under section 498-A of the Indian Penal Code by disgruntled wives. It has also been held that the tendency of falsely implicating even those relatives of husband, who lived separately and in different cities is also growing. It has been held that if there are no specific and credible allegations against, with necessary particulars against the relatives of the husband, they should not be made to suffer the ignominy of a criminal trial. In the instant case, as we have already seen that there are specific allegations against husband Shrikant and his father Sudama Prasad who lived together in the matrimonial home of the complainant along with her. Thus, the power under section 482 of the Code of Criminal Procedure cannot be used to stifle their prosecution. However, so far as remaining applicants/accused persons are concerned, none of them lived together with the husband and father-in-law in the matrimonial home of the complainant. Moreover, there are no specific and credible allegations with necessary particulars, against them. Only omnibus allegations shorn of even basic details, have been leveled; therefore, in the opinion of this Court, they should not be made to undergo the rigmarole of a criminal trial. Allowing trial to proceed against the aforesaid relatives would be travesty of justice and abuse of process of law. As such, exercise of extra-ordinary powers of the High Court reserved under section 482 of the Code of Criminal Procedure, is called for. Dr.Anuvad Shrivastava, counsel for the applicant. Shri Amit Pandey, Panel Lawyer for the respondent/State. This miscellaneous criminal case has been instituted on an application under section 482 of the Code of Criminal Procedure filed on behalf of applicants/accused persons in Crime No.32/2015 registered by P.S. City Kotwali, Chhindwara, under section 498-A read with section 34 of the Indian Penal Code and section 3/4 of the Dowry Prohibition Act, 1961. The facts giving rise to this miscellaneous criminal case may briefly be stated thus: Complainant Harshna Paigwar filed a written report with the police to the effect that she was married to applicant/accused No.1 Shrikant Paigwar/Tamrakar by Hindu Rites in a Group Marriage Ceremony under the Chief Minister’s Scheme at Chhindwara, on 06-06-2014. In the marriage, her mother spent about Rs.4,00,000/- and gave gold and silver ornaments and house- hold items to the complainant. In addition thereto, she had also given Rs.2,00,000/- in cash and clothes at the time of engagement ceremony. Applicants/accused Sudama Prasad Tamrakar is father, Amarlal Tamrakar is father’s brother-in- law, Uma Tamrakar is father’s sister, Anoop Tamrakar is brother-in-law, Eshwari Tamrakar is sister, Sachin Chandravanshi is brother-in-law and Jaishri Chandravanshi is sister of applicant No.1 Shrikant Tamrakar. Applicant No.9 Krishna Tamrakar is not in relation with applicant No.1 Shrikant Tamrakar. When the complainant went to matrimonial home at Chhindwara, from her maternal home at Chichli, Gadarwara, her two sisters-in-law Eshwari and Jaishri and their husbands Anoop and Sachin as also her father-in- law’s sister Uma and her husband Amarlal Tamrakar as well as Krishna Tamrakar started saying that her mother had given nothing in dowry. She ought to have given at least Rs.5,00,000/-. Krishna Tamrakar said that at Chhindwara people evem spent 10,00,000/- in marriages. The aforesaid relatives of her husband started taunting and mentally harassing her. Sudama, her father-in-law also mentally harassed her for dowry. Her husband Shrikant called his friends, to consume liquor in her matrimonial home. Shrikant told the complainant to do everything she does with him, with his friends as well. Her husband and father-in-law pressurized her to ask her mother on telephone to give a shop in dowry. Her husband and her father-in-law also forcibly administered intoxicating tablets and on one occasion, an injection to her. Once her husband and father-in-law tried to pour kerosene on her; whereon she ran away to her neighbours’ place and called her mother on telephone. Thereafter her mother came and took her to her maternal home. Her husband and father- in-law say that they would take her to her maternal home only after her mother would make arrangement for more dowry. The FIR was lodged on 14-01-2015. After investigation, charge-sheet was filed in the Court on 26-09-2015. The applicants have prayed for quashing the first information report and the proceedings arising therefrom on the ground that applicant No.1 Shrikant married complainant Harshna in Group Marriage Ceremony under the Chief Minister’s Scheme. The family of applicant Shrikant lived below poverty line. The complainant lived at her matrimonial home with applicant Shrikant only after a brief period of 10-12 days. Thereafter, her mother took her to her matrimonial home leveling false allegations against applicant Shrikant and other family members. Since, the complainant refused to live with applicant No.1 Shrikant, he served a notice dated 25-08-2014 upon her through his advocate by registered post but the complainant did not pay any heed to the aforesaid notice. Consequently applicant No.1 Shrikant Tamrakar filed an application under section 9 of the Hindu Marriage Act in the Court of Principal Judge, Family Court, Chhindwara on 18-11-2014, for restitution of conjugal rights which has been registered as Hindu Marriage Petition No.418/2014. As a counter blast to the said application, the complainant filed present first information report on 15-01-2015, wherein false allegations have been leveled not only against applicant Shrikant and father Sudama Prasad but also against Krishna Tamrakar, who is not related to applicant Shrikant as also other relatives, who lived in other towns separate from applicant Shrikant on omnibus allegations. Therefore, it has been prayed that the first information report and the criminal proceedings arising therefrom be quashed. A notice was directed to be issued against the complainant (respondent No.2 Harshna); however, a perusal of the Court order dated 06-08-2015 reveals that no one had appeared on behalf of the respondent No.2 even after due service upon her. Thus, complainant was not represented before the Court at the time of arguments. On due consideration of the contentions of learned counsel for the applicants and respondent No.1/State as also after perusal of the case diary, this Court is of the view that this application under section 482 of the Code of Criminal Procedure must succeed in part. It is admitted that charge sheet in the matter has been filed. However, it has been held by the Apex Court in the case of Satish Mehra Vs. State (NCT of Delhi) and another, AIR 2013 SC 506 that the power to interdict a proceeding either at the threshold or at an intermediate stage of the trial is inherent in a High Court on the broad principle that in case the allegations made in the FIR or the criminal complaint, as the case may be, prima facie do not disclose a triable offence, there can be no reason as to why the accused should be made to suffer the agony of legal proceeding. Thus, such power would be available for exercise not only at the threshold of a criminal proceeding but also at a relatively advanced stage thereof, namely, after framing of charge against the accused. Thus, the High Court can certainly exercise power under section 482 of the Code of Criminal Procedure after filing of the charge sheet or even after framing of charge. It has also been held by the Supreme Court in the case of Harshendra Kumar D. Vs. Rebatilata Koley AIR 2011 SC 1090 that uncontroverted documents or material of unimpeachable or sterling character may be considered while exercising jurisdiction under section 482 of the Code of Criminal Procedure. The same view has been taken by the Supreme Court in the cases of State of Orissa vs. Devendra Nath Padhi, 2005(1) SCC 568, Rukmani vs. Vijaya, AIR 2009 SC 1013 and Rajiv Thapar vs. Madan Lal Kapoor, AIR 2013 SC (supp.) 1056. Reverting back to the facts and circumstances of the case at hand, it is found that there is nothing on record to suggest that applicant Krishna Tamrakar (accused No.7) is, in any manner related to husband Shrikant Paigwar. Thus, the observation alleged to have been made by him that some people at Chhindwara spent even Rs.10,00,000/- in marriage, is inconsequential and does not make him liable to be implicated in a case under section 498-A of the Indian Penal Code. So far as accused persons other than Shrikant, Sudama and Krishna are concerned, Amarlal Tamrakar is brother-in- law of Sudama Prasad. Uma Tamrakar is Amarlal’s wife and Sudama Prasad’s sister. Anoop Kumar is Eshwari’s husband and Shrikant’s brother-in-law. Likewise, Sachin is husband of Jaishri and brother-in-law of Shrikant. Eshwari and Jaishri are married sisters of Shrikant. Sister Eshwari and her husband Anoop Jasathi lived at Cheechli, Tahsil Gadarwara, District Narsinghpur. Other sister Jaishri and her husband Sachin lived at House No.43 Patwari Colony, Khargaon. Sudama’s sister Uma Tamrakar and her husband Amarlal lived at Bhairoganj Seoni. Krishna Tamrakar lived separately from Shrikant and his father Sudama, at Chhota Talab, Chhindwara. Only Shrikant and his father lived together at 23 Nice Chowk Chhindwara. Aforesaid addresses of the applicants have been recorded after investigation, in the charge sheet. Thus, it is admitted position that apart from Shrikant and Sudama no one else has ever resided with the complainant in the same house at Chhindwara. In the first information report, which was recorded on the basis of a written report, specific allegations have been made against husband Shrikant and his father Sudama Prasad regarding harassment and cruelty for dowry; however, the allegations against the remaining applicants are omnibus in nature and no time and date of the incidents have been given. Moreover, in her statement recorded under section 161 of the Code of Criminal Procedure on 25-01-2015, complainant Harshna has simply stated at the end, probably by way of after-thought that other accused persons had said that more money ought to have been given in the marriage and applicants could deserved a better girl. In the end, a general statement was made that all persons had beaten her for dowry. However, no specific role in this regard has been ascribed to any of them nor time and date of the assault has been given. In any case, complainant is said to have stayed in her matrimonial home for not more than 10 or 12 days. 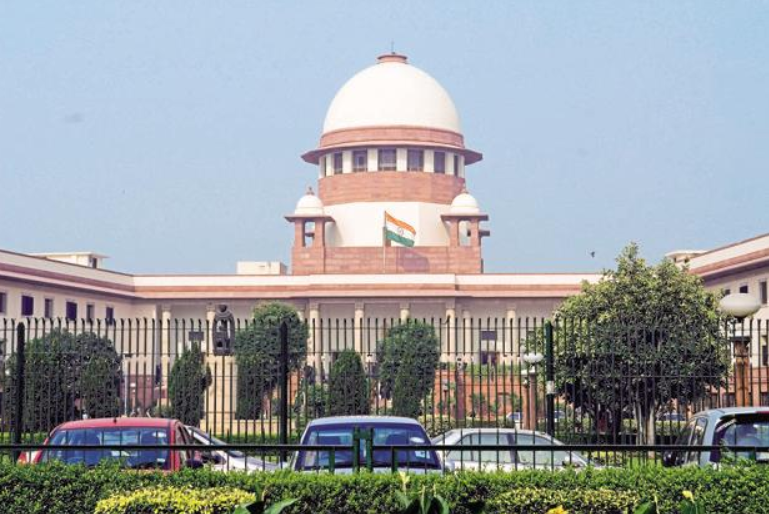 It may be noted in this regard that the Supreme Court in the case of Arnesh Kumar Vs. State of Bihar, 2014(8) SCC 273, observed that: “… There is a phenomenal increase in matrimonial disputes in recent years. The institution of marriage is greatly revered in this country. Section 498-A IPC was introduced with avowed object to combat the menace of harassment to a woman at the hands of her husband and his relatives. The fact that Section 498-A IPC is a cognizable and non-bailable offence has lent it a dubious place of pride amongst the provisions that are used as weapons rather than shield by disgruntled wives. The simplest way to harass is to get the husband and his relatives arrested under this provision. In a quite number of cases, bedridden grandfathers and grandmothers of the husbands, their sisters living abroad for decades are arrested. It may be seen from the aforesaid judgments that the Supreme Court has expressed its concerned with regard to false implication of husband and his relatives in the cases under section 498-A of the Indian Penal Code by disgruntled wives. It has also been held that the tendency of falsely implicating even those relatives of husband, who lived separately and in different cities is also growing. It has been held that if there are no specific and credible allegations against, with necessary particulars against the relatives of the husband, they should not be made to suffer the ignominy of a criminal trial. Consequently, this application under section 482 of the Code of Criminal Procedure is allowed in part. The first information report registered by P.S. City Kotwali, Chhindwara, in Crime No.32/2015 under section 498-A read with section 34 of the Indian Penal Code and section 3/4 of the Dowry Prohibition Act and the criminal proceedings arising therefrom pending in the Court of Judicial Magistrate First Class, Chhindwara, so far as they relate to applicants Eshwari, Anoop, Jaishri, Sachin, Uma, Amarlal and Krishna are quashed. The trial arising from aforesaid first information report against husband Shrikant and father-in-law Sudama Prasad, shall continue in accordance with law. This entry was posted in 498a, 498a misuse, 498a on elders, 498a quash, fake 498a, false 498a and tagged 498a, 498a quash, Fake 498a on 8 people including NON relatives, madhya pradesh, Madhya Pradesh High Court, MP HC on November 22, 2018 by vinayak. //// 4. A perusal of the charge sheet and the supplementary charge sheet discloses the fact that the Appellants are not the immediate family members of the third Respondent/husband. They are the maternal uncles of the third Respondent. Except the bald statement that they supported the third Respondent who was harassing the second Respondent for dowry and that they conspired with the third Respondent for taking away his child to the U.S.A., nothing else indicating their involvement in the crime was mentioned. The Appellants approached the High Court when the investigation was pending. The charge sheet and the supplementary charge sheet were filed after disposal of the case by the High Court. 5. Criminal proceedings are not normally interdicted by us at the interlocutory stage unless there is an abuse of process of a Court. This Court, at the same time, does not hesitate to interfere to secure the ends of justice. See State of Haryana v. Bhajan Lal 1992 Supp. (1) SCC 335. The Courts should be careful in proceeding against the distant relatives in crimes pertaining to matrimonial disputes and dowry deaths. The relatives of the husband should not be roped in on the basis of omnibus allegations unless specific instances of their involvement in the crime are made out. See Kans Raj v. State of Punjab & Ors. (2000) 5 SCC 207 and Kailash Chandra Agrawal and Anr. v. State of Uttar Pradesh & Ors. (2014) 16 SCC 551. This entry was posted in 498a, 498a quash, divorce, Supreme court, supreme court of india and tagged 498a, 498a misuse, 498a on distant relatives, 498a quash, FAKE CASE, fake cases, supreme court, Supreme court of India on August 21, 2018 by vinayak.